I cannot believe that you, members of the NRA, are not shaken to the core by the relentless occurrence of mass murders in this country. Whether you are moved by frustration, anger, or humaneness, isn’t it time for you to do something about it? To be blunt, you have the power! Yes, I know, you can’t be held responsible for the crazies. 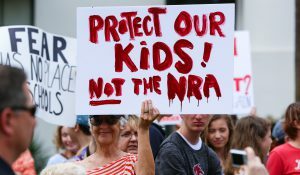 You can’t be asked to prevent an irresponsible mother from enabling her disturbed son to gun down little children at school. You can’t prevent a gamble-crazed old man from massacring over fifty people at a concert. And you can’t prevent a deranged teenager from directing his fury at his peers and mowing them down in cold blood. But you can push your leaders to respect the democratic rights of the great majority of Americans, no? Have you read the account of the ER physician who had to treat the wounds of the Parkland shooting victims? As a trained NRA member, you probably already know that the kinetic force behind the bullet of an assault weapon makes human organs explode. The hemorrhaging is so massive that the victims hardly stand a chance to survive. The NRA used to be an association for the benefit of hunting… Your leadership has reinterpreted the 2nd Amendment to mean something quite different. You don’t need a Supreme Court to understand that this amendment refers to a “regulated militia.” Do you need a “regulated militia” to protect your home; do you need a “regulated militia” to stand your ground; do you need a “regulated militia” to enter a bar with a concealed gun? Your NRA leadership’s definition of freedom is so extreme as to infringe on the freedom of other Americans to have a normal, safe life. My point is this: Why wait for regulations to be imposed on you? Act now and own the process. Look at what one of your political backers in Florida is doing. 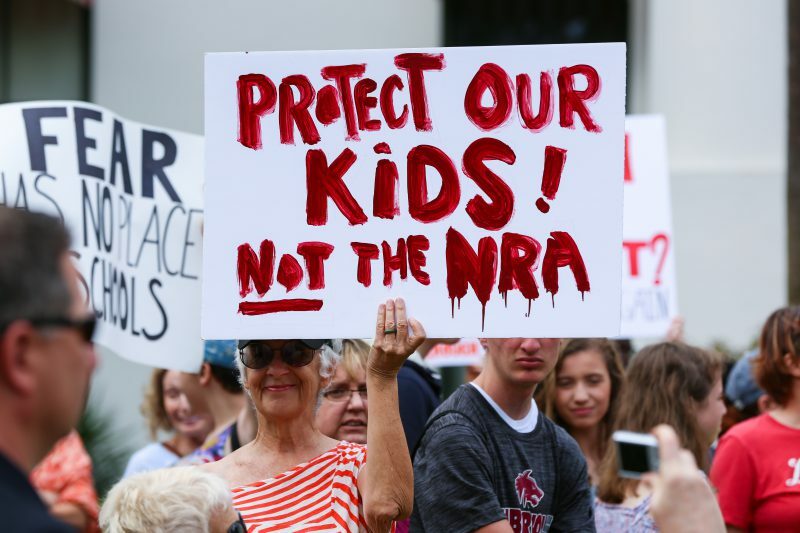 Rick Scott, the governor of Florida — the guy who scored an A+ with your NRA leaders — has signed into law a set of new gun restrictions. In Florida! The lead state for “gun freedom.” Look at the Quinnipiac poll showing 83% of Americans support mandatory waiting periods for all gun purchases. There is bound to be some of you among them. Is it that important to you to buy a gun and leave the store the same day? A mandatory waiting period seems like a very small price to pay to make America safe. President Trump caved a day after saying he was not afraid of NRA leadership.